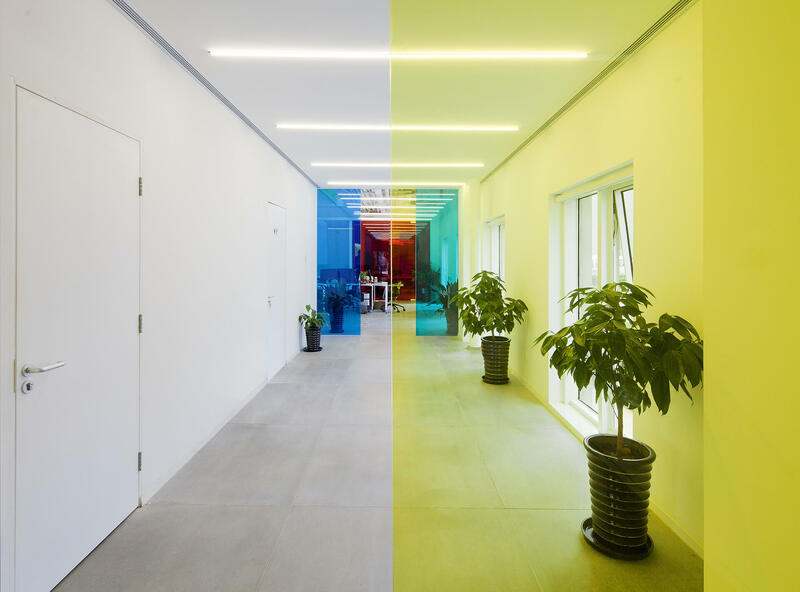 The design for the headquarters of 21 Cake, a popular gourmet cake franchise, relies on the interaction of the three primary colors: red, yellow and blue. 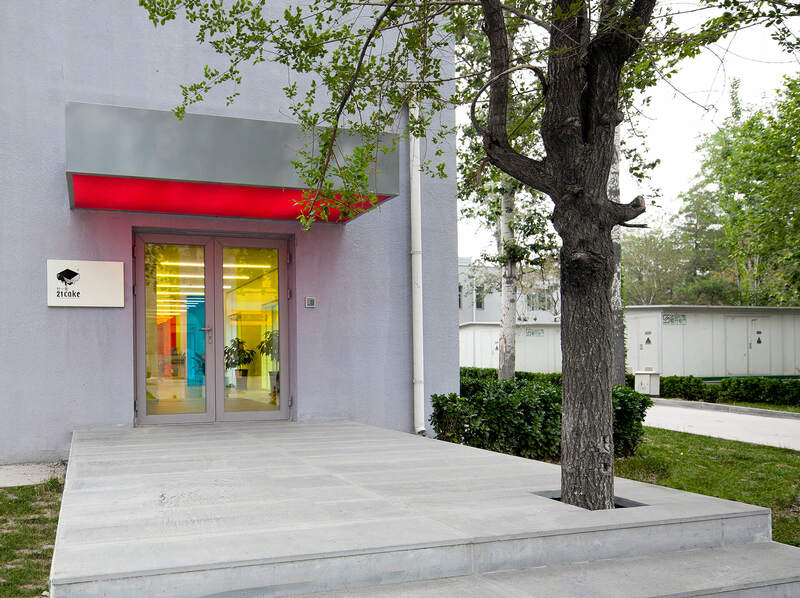 Selected walls of the office, namely those along circulation areas, are made of laminated colored glass. These glass panels of primary colors are ‘layered’ to create a full spectrum of changing colors. As one walks through the spaces of the office, changing vantage points in combination with natural and artificial light and reflections produce dramatic effects. A double height central atrium topped with a skylight brings in light through the layers of color along the staircase and glass bridge on the second floor. Conference tables and mobile work tables are designed and produced by our sister company People's Industrial Design Office.